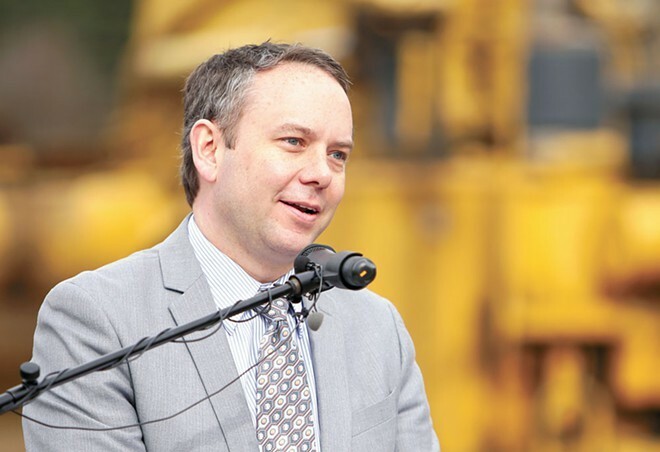 Mayor David Condon has supported increasing the number of exempt positions in certain city departments. A Superior Court judge has ruled against the city's expansion of positions in the Spokane Fire Department that are exempt from civil service, according to the union representing local firefighters. The union brought the complaint against the city last summer arguing that increases in positions that are hired by appointment instead of through civil service testing violated state law and the Spokane City Charter. Mayor David Condon has led the push for more exempt positions in the fire, police and parks departments, increasing the total between them from six to 40 exempt positions, although not all have been filled. The changes were approved by the city council last year, though the political balance has since shifted. Condon and leaders of those departments have argued that hiring outside of civil service provides for more flexibility than outdated and rigid civil service testing. But some on the council, like Councilman Jon Snyder and Council President Ben Stuckart, argued exempt positions can encourage nepotism and the administration should instead look to reform the civil service process. According to Stuckart and City Spokesman Brian Coddington, the judge issued an oral decision Friday. (Stuckart says he expects a written ruling by Monday or Tuesday.) The decision will not directly affect the changes to the parks or police departments, since the case was specifically about the changes to fire positions. Coddington says he doesn't yet have many details, but offered this in an email to the Inlander: "The city is considering an appeal. We worked within the civil service rules and process and believe the City Council had the authority to create departments within the division." Stuckart says he plans to bring an ordinance forward in coming weeks to overturn the changes to the fire department. "I've heard that some of the language [the judge] used was pretty harsh and scathing to the city. I hope if we reverse it, that will be a clear enough signal [to the administration] not to appeal," Stuckart says. "[The change] was designed to undermine civil service. Everyone can differ on their opinion of civil service, but the way to change it is not to use words to try to undermine it."